Wine and cheese pairing is as continental as it gets. The French, Italian, Greek, Spanish and even Americans can create an amazing spread that highlight both food and drink. 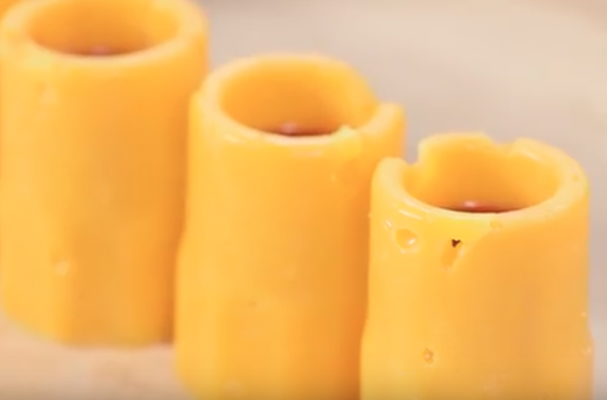 Since 2016 is a time of innovation, millennials have found a way to easily tie the two components together - cheddar cheese shot glasses. Instead of sipping, swishing and swallowing, you can now have wine and cheese in one bite. Would this something you would be willing to try, let alone serve at your New Year's Eve party? Let us know in the comments section below!